Teaching STEM to younger students addresses the same skill areas and reinforces a strong focus on curiosity (Early Years Centre to Early Learning Centre), exploration (Kindergarten to Year 1) and wonder (Years 2 to 4) in the world. Here are five reasons why STEM is important in early years education. A ‘focus on fun’ attitude is the best approach to delivering any experiences in the younger years, and STEM is no exception. The possibilities for incorporating fun into STEM education in the younger years are endless. Young students are naturally curious about the world and love to learn through play. Activities that involve experimentation, discovery, building or collecting things are great ways to teach younger students. STEM experiences are designed to be developmentally appropriate across all year levels. It is vital that tasks are engaging and interesting to students, whilst staying within their ability to complete them. A great STEM task is challenging and pushes students to seek new information to solve a problem. However, getting the balance right between making the activity challenging but keeping it within the students’ capabilities is important in STEM education. This is especially crucial in younger years to encourage and motivate students in their learning. STEM activities are designed around opportunities for students to solve ‘real world’ challenges – that is, challenges that are relevant to their lives. A Kindergarten student has different day-to-day interests and challenges to a high school student, therefore the STEM experiences offered to them must reflect this in order to resonate with them. By making STEM activities relevant to students’ lives, they tend to be more receptive to the experience and have increased motivation to solve the problem. Hands on, experiential learning and practical inquiry processes is one reason STEM education is so successful in early years education. Learning by doing is an essential part of teaching younger students. Hands on activities make STEM experiences more fun, easier to engage with the content and facilitates the development of necessary skills for younger students. The best approach to STEM education across Kindergarten to Year 6 is skills based. There is also a focus on skills that have applications well beyond STEM, such as collaboration, estimating, calculating, measuring, hypothesising and communicating. The use of open-ended inquiry tasks allow students to select from their own skills ‘toolkit’ to direct their own journey towards a creative solution to the problem. This approach is often the best way to exercise students’ creativity and provide opportunities for students to try out their skills. Delivering relevant and interesting content at school helps to harness younger students’ natural curiosity and engagement with the world around them. STEM education is a great framework to work within to do this. By making education fun, relevant, hands on and achievable, younger students can develop the necessary skills needed for a bright future. 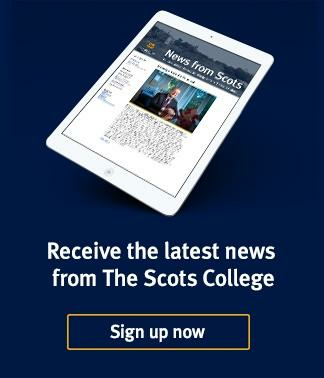 Want to stay up-to-date with the latest news and insights from Scots? Subscribe to our free fortnightly enewsletter. Stephanie is the Prep Science Facilitator at The Scots College in Bellevue Hill. Stephanie graduated from The University of New South Wales with a Bachelor of Science and a Bachelor of Education.